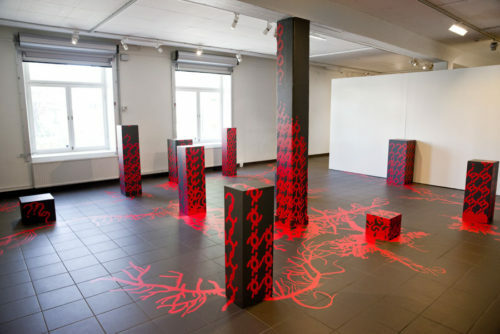 The installation Der Bau #3/square one is developed from the art space’s floor and it’s grid pattern with it’s suggestion to 3-d renderings and video games. 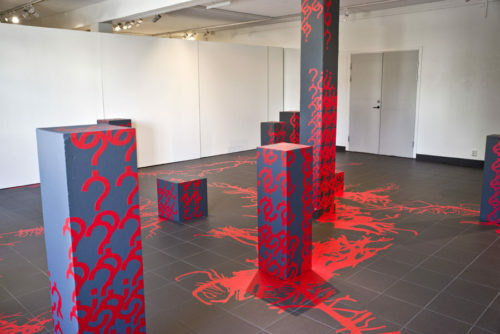 Pedestals from previous exhibitions are painted in the same colour as the floor and shape a skyline of boxes which are used as collaborative starting points of intervention. 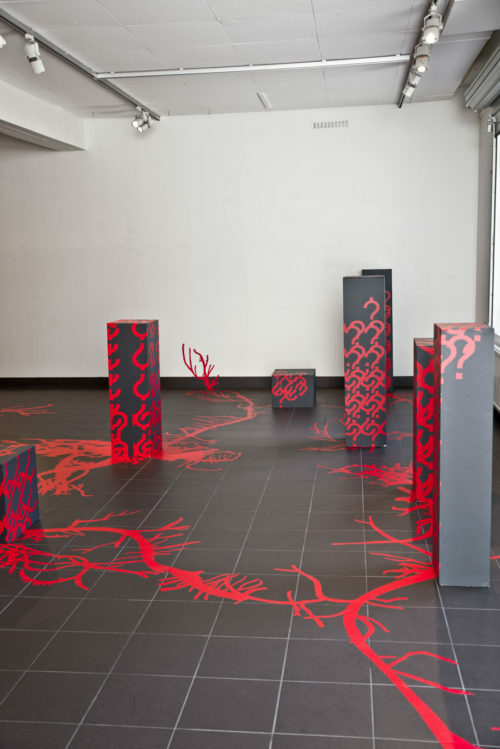 Root-like shapes (Kristina Stark) evolve from question mark patterns (Eva Beierheimer) on the the boxes. “Der Bau” (engl: The Burrow), is an unfinished short story by Franz Kafka. . It describes the never ending struggle of an entity to build the perfect burrow. During the building time the mention of what is “perfect” is shifting, which results in the burrow being continuously altered.